This entry was posted on March 6, 2018 by Admin Account. 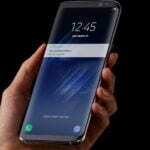 Samsung has officially announced the release of the Samsung Galaxy S9, and as indicated by leaked photos, there is definitely a headphone jack! While certain manufacturers have been removing them; the iPhone X, Huawei Mate 10, and the Pixel 2 - some continue to include the critically acclaimed headphone jack on their new phone, like Samsung, and it seems to be.... fine. Sure, Samsung could have followed the crowd and just as easily removed the 3.5mm jack, but why? There's been a large emphasis on this issue since the release of the iPhone 6 Plus, which we're attributing some of this decision factor on Samsung's part, and it doesn't look like Samsung wants to tread on thin ice with this one. Wireless audio is alright but not something to write home about. Unfortunately, companies such as Apple and Huawei, force us to utilize dongles, dongles for your dongles, and dongles to connect to your dongles for your dongles. Confusing? We think so too. We don't remember asking Apple to remove the headphone jack from our beloved iPhones... The thing is, headphone jacks just work, it's as simple as that. There's no need to go to settings, enable Bluetooth, and connect to a device when you can simply plug in your headphones and blast your favorite 90's rock band. Is removing the headphone jack just a part of the future? We sure hope not, but this is ultimately up to personal preference and ability to put up with the #donglelife. By the looks of it, a lot of Galaxy S9 owners will enjoy being able to pop in their headphones without some sort of adapter, dongle, or connector. Sure, you can say that ditching the headphone jack is in due to Apple gearing up for better equipment in the future, as the parts continue to decrease in size and increase in capability, but what is this pushing us towards? For the future, we can see it doesn't seem all that necessary and quite frankly not highly sought after. On top of the headphone jack remaining, Samsung announced that the new S9 will have new speakers producing 40 percent more sound, a brand-spankin' new camera with an adjustable aperture, and a new AR Emoji system (similar to Apple's Animoji). Here's to hoping this one is a success.